Bioidentical Hormone Pellet Therapy is a unique method of delivering Bioidentical Hormone Replacement Therapy. A pellet (about the size of a grain of rice) containing bioidentical hormones is slipped painlessly under the skin, typically on the hip. A mild local anesthetic is used and the procedure takes less than five minutes. Once the pellet is inserted, a steady, low dose of natural hormone flows directly into the blood stream whenever your body needs it, 24/7. Pellets deliver the right kind of hormone in the right amounts, based on blood testing and analysis of the results. Positive benefits can last up to 6 months and repeat treatments involve a brief visit just a few times a year. It may surprise you to know that hormone pellet therapy has been around for more than half a century. It was created in Europe in 1935 to help alleviate the problems women experienced due to hormone production cessation or menopause. This modality was then brought to the United States in 1939 by eminent endocrinologist and medical researcher, Dr. R. B. Greenblatt, where he introduced it to the Menopausal Clinic. Since then, bioidentical hormone replacement therapy in pellet form has been studied and accepted as the most effective delivery system available for men and women suffering from the side effects of menopause or andropause (the male equivalent of menopause). When the body is in need of estrogen or testosterone, these tiny implants, placed under the skin, are found to consistently release small, physiologic doses of hormones providing optimal therapy. For decades, positive research studies have been reported in respected medical journals around the world. In addition, bioidentical hormones have long been preferred in Japan, France and other European countries, and have been used successfully by patients there since the 1930’s. 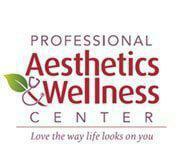 Many women and men in this country and others have now switched from synthetic to bioidentical hormone therapy. The term “bio-identical structure” means that pellets are nothing like the synthetic hormones manufactured by pharmaceutical companies. Pellets are both natural and biologically identical to the estrogen and testosterone your body once produced in correct amounts. Unlike synthetics, our bodies can readily recognize and metabolize them. The bioidentical hormone pellets we use at Professional Aesthetics and Wellness Center are compounded according to the highest industry standards using the finest botanical ingredients available. Derived from yam and other natural plant-based substances, the bioidentical hormones are hand-formulated into pellets at one of the foremost compounding pharmacies in the U.S. This ensures the superior quality and efficacy of pellets for use in natural hormone replacement therapy. No horse urine. No fillers. Just pure, natural, biologically identical hormones plain and simple. The term “bio-identical structure” means that pellets are nothing like the synthetic hormones manufactured by pharmaceutical companies. Pellets are both natural and biologically identical to the estrogen and testosterone your body once produced in correct amounts. Unlike synthetics, our bodies can readily recognize and metabolize them. The bioidentical hormone pellets we use at Professional Aesthetics and Wellness Center are compounded according to the highest industry standards using the finest botanical ingredients available. Derived from yam and other natural plant-based substances, the bioidentical hormones are hand-formulated into pellets at one of the foremost compounding pharmacies in the U.S. This ensures the superior quality and efficacy of pellets for use in natural hormone replacement therapy. No horse urine. No fillers. Just pure, natural, biologically identical hormones plain and simple.